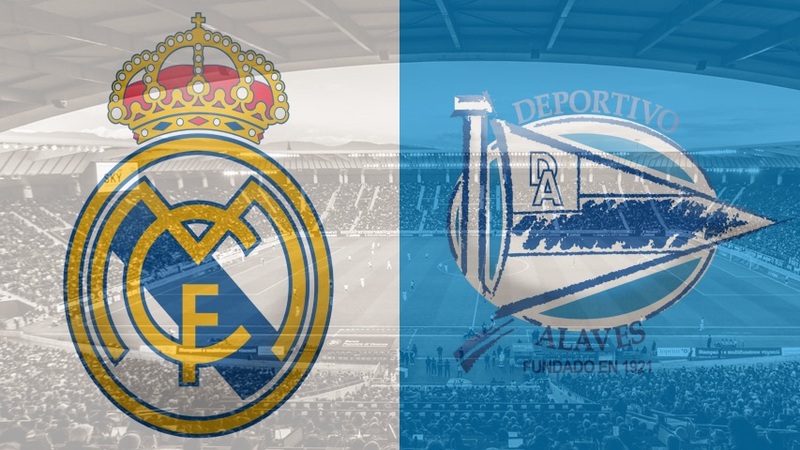 Real Madrid will be hoping to build on their recent league victories over Real Betis, Sevilla and Espanyol as they host to an out-of-form Alaves, who are now without a win in three matches in La Liga. The hosts, who are welcoming back a number of injury absentees, are unsurprisingly favourites to win this match. Last time: A last minute goal from Manu Garcia gave Alaves a memorable win at home earlier in the campaign, back in October. That ended a run of nine straight Madrid wins in the fixture. The last Alaves win away in this clash came in May 2000. Real Madrid are starting to recover injury absentees with Thibaut Courtois, Gareth Bale and Marco Asensio among those to have returned in recent weeks. Their victories over Real Betis, Sevilla and Espanyol have lifted them back into the top three for the first time since September although they are still 10 points adrift of league leaders Barcelona. Alaves have lost each of their last two games without scoring a goal and are without a win in three, but remain fifth in the standings after a remarkable start to the campaign for the underdogs. Unsurprisingly, Madrid are favourites for this encounter at odds of 2/9 with an Alaves victory priced at 11/1 and the draw available at 11/2. These fixtures tend to produce a lot of goals with a massive 38 going in across the nine most recent meetings before the 1-0 in October, so over 3.5 goals at 23/20 appears to be a solid bet with over 2.5 at 2/5. A ‘double chance’ on Alaves to come away with either a draw or a win is available at 3/1 while a Madrid win/draw outcome is at 1/40. If you fancy the home side to be leading at both half-time and at the final whistle, such odds are available at 4/5. One to watch for Real Madrid: Vinicius Junior has already netted three goals this season and is likely to start as Gareth Bale and Marco Asensio are eased back from injury. The exciting forward is at 5/4 to find the net in this game. One to watch for Alaves: Borja Baston has two scored of the last three goals for Alaves coming against Valencia and Girona and he is 4/1 to score here. Long shot: Alaves have scored just three goals in the last seven meetings between the two while Madrid were edged out 1-0 last time. Odds of this game to finish scoreless are at 20/1.